The story says that the presents were gold, incense and myrrh. Since then, said kings were named the Three Wise Men. The act turned into a tradition and on the 5th of January at night the Three Wise Men would deposit their presents in every house of Spain, Portugal and Latin America. That night, children and parents leave a pair of shoes at the living-room along with cookies and milk for the Three Wise Men’s camels. Before the 5th of January, kids write the “Letter to the Three Wise Men” and ask for everything they want for the year. That night, Melchor, Gaspar and Baltasar enter into every house and leave the presents the kids have asked for. As Santa Claus, the Three Wise Men come alive in hospitals and commercial centres amongst others where kilometric queues are made to meet the Kings. A tradition that has been born from the Three Wise Men is solidarity. A lot of families subscribe themselves to buy a present to orphaned children so they can also have presents. Way before the Three Wise Men land in our houses and give us the presents, the party floods the Spanish’s streets. Parades are made in every corner of the country to welcome the Kings. There are carriages from Disney as well as important brands, being the last ones to appear the ones of the Kings. 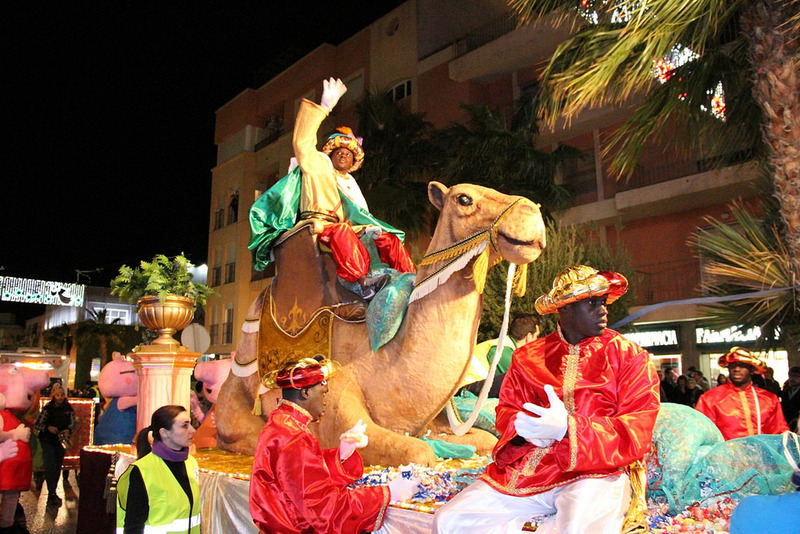 Each one goes in a carriage and people throw sweets and presents from the carriages to the people who await to watch the Three Wise Men and take the sweets. The following day to the parade, the presents are located next to the shoes of the families’ members ready to be opened. Everyone enjoys opening the presents, but more when you, but the great joy is to see the youngers of the family opening their presents. 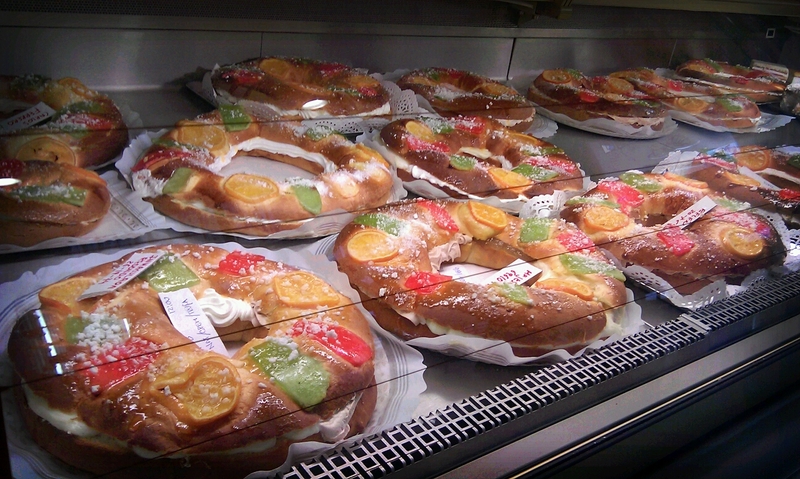 After opening them, it is tradition to have the Roscón de Reyes for breakfast with the family, which is eaten with hot chocolate. Inside the Roscón there is a broad bean and a little figure. The person who finds the figure will be the King or the queen of the day, meanwhile the one who finds the broad bean will have to pay the Roscón. After the breakfast, the family have lunch all together and the presents that the Three Wise Kings have left in the rest of the family houses are opened. The food can last until late hours in the afternoon, even connecting with the snack. When everyone comes home the children play with their new games meanwhile we say goodbye to the Christmas days and welcome the sales that start on shops the following day.